Background on this blog: I’m currently doing a stint with Charles Darwin University and one of the things I get to do is help write content for the blog: https://launchpad.cdu.edu.au. Here is one of the blogs I wrote as we lead up to Plastic Free July. I know! You are studying, maybe working, maybe have a family, you socialise and have many, many commitments. Being green probably isn’t high on your priority list. But, it should be! Why? It’s easy to make a few small changes that are good for the environment and good for the wallet. Let’s be honest, anything that saves money while you’re studying is going to be very handy. Buy 100% recycled paper for printing. You can buy pens and other stationary made from post consumer waste. Addicted to coffee? Get your own CDU Keep Cup. Some coffee shops will charge you less if you bring your own cup. Make bottled water a thing of the past! Use reusable drinking bottles. Stop buying paper all together! Don’t by a printer, buy a good quality computer, the best you can afford. A good computer will last for years. Learn to type your notes and reading off the screen will save you money. Councils provide curb side recycling in Australia. Think about all of the paper you use for your notes, assignments and then include takeout containers, plastic water bottles, beer and wine bottles or cans, just to name a few. It takes very little effort to make sure that these items are placed in the correct bin at home or on campus. See Darwin City Council’s guide on recycling. Did you know that in the NT there is a container deposit scheme? You can make money by recycling! Recycling isn’t just about putting your papers and containers in the correct bin though, think about your old clothes and study books. Don’t throw them, resell them and make some money back. If you don’t have the time, at least donate your good quality clothing to your local second hand store. Old study books you can’t be bothered selling? Give Now is another option or contact CDU Library to see if they will take them. Improved community wellbeing and social cohesion. It’s also cheaper than owning and using a car all of the time! Next time you need to go from A to B, consider other forms of transport. Free or cheap exercise options are provided by Darwin City Council’s community Program. When it’s not in use, turn it off at the power point. Standby power wastage is a thing! It’s easy to turn off your appliances off at the wall, your wallet and the earth will thank you. Turn off lights and use LED light bulbs. LED bulbs cost a bit more than normal bulbs, but the saving comes in the electricity bill, as well as the long-term cost savings. Use energy-saving LED will use approximately 1/5 the energy a regular globe use and will last longer. Local and organic can sometimes be expensive, but it doesn’t have to be! Think about farmers markets, get your fruit and veg fresh, cheap and hopefully it hasn’t traveled far, won’t be mass grown, covered in chemicals and will taste better. In Darwin? Check out the list of Darwin markets. Alternatively, find where your local Community Garden is, Lakeside Drive Community Garden is run by CDU. A number of health food stores around Australia now offer bulk buying. Bring your own containers and pay a lot less than you would if you were to buy it in the supermarket. It also reduces the need for packaging and when the items are grown locally a lot less food miles involved. A couple of places you can bulk buy in Darwin are Wicked NRG & Greenies. Reduce your meat consumption! Meat is expensive and the amount of resources it takes to grow and prepare meat is ridiculous! There are also proven health benefits to reducing your meat consumption. That’s it! Remember, every little thing you do can make a difference! 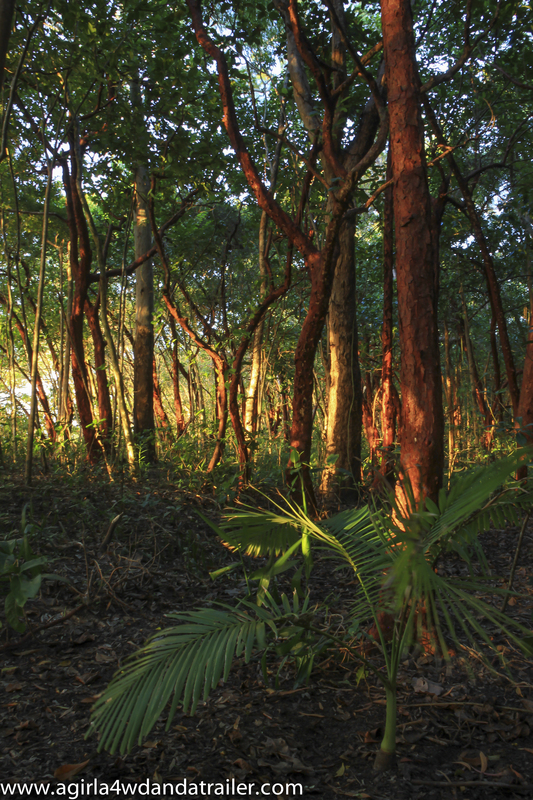 Written by Monica Bugno, long term eco warrior. This entry was posted in Misc Ponderings, Uncategorized and tagged Darwin City Council, Eco Friendly, Enviro Collective, Keep Cup, Plastic Free July, Recycling, Reduce Your Power Usage, Student, sustainable Transport on June 9, 2018 by monicabugno. I really don’t think I could go plastic FREE. I would love too, but it’s not that easy. you would need to really, serious change your entire life. That freaks me out and really isn’t feasible. Why just July, I’d happily make it ongoing. Understanding that Plastic Free July are trying to get people to buy into it in the first place (and it’s a totally great idea). So, from this, what are maybe 3 things I can do on an ongoing basis that ill reduce my plastic use all the time? Bin liners – Put those NT Newspapers to good use! A MASSIVE thing all over the internet at the moment is how to use newspaper as a bin liner. It’s a no brainer, especially when the piles of NT News are just sitting there. Also, I get Hello Fresh delivered, there are lots of paper bags in there, so now I’m using them as bin liners! Check this blog out on how to make bin liners. I’ve joined the Boomerang Bags Parap Darwin group and they are working with Parap School (Eco School supported by Keep Australia Beautiful NT). More info on my Boomerang Bag adventures later. So, my 3rd way to reduce my plastic use ongoing, is to keep my mind open and where possible refuse plastic. Coffee cups, straws e.t.c. I’m sure it won’t always by possible, but I will make the effort. How are you going plastic free this July? This entry was posted in Misc Ponderings, NT and tagged Bin liners, Boomerang Bags, Boomerang Bags Parap Darwin, Darwin, Hello Fresh, Plastic Free July, War on Waste on July 10, 2017 by monicabugno. It has come to my attention that it has been 3 years since I last blogged, or though about blogging. 3 years since due to a few unfortunate mishaps at Cape York and Mount Isa (didn’t write about that one), we limped into Darwin and stayed. 3 years of living in this tropical paradise. It has not been all sunshine, lollypops and rainbows. My husband got epilepsy, I started a small business and my husband and I separated. But, I live in a most beautiful part of the world, met some amazing people who have become my adopted family, experienced some exciting things, scary things& hard things. In short, I’ve lived and I love it! I hope you be able to spend some time musing about my time in Darwin, showing you my little piece of paradise. So, please stay tuned! This entry was posted in Misc Ponderings, NT and tagged Darwin, From Where You'd Rather Been, Northern Australia, Northern Territory, Sunset, Tropical Paradise on July 10, 2017 by monicabugno. A lot has happened since the last post. We are now in Darwin and plan on remaining here at least for the next 12 months. Hubby and I both have decent jobs and have moved into our own place. However, inspiration smacked me in the head this morning and told me to finish our story, so here it is. 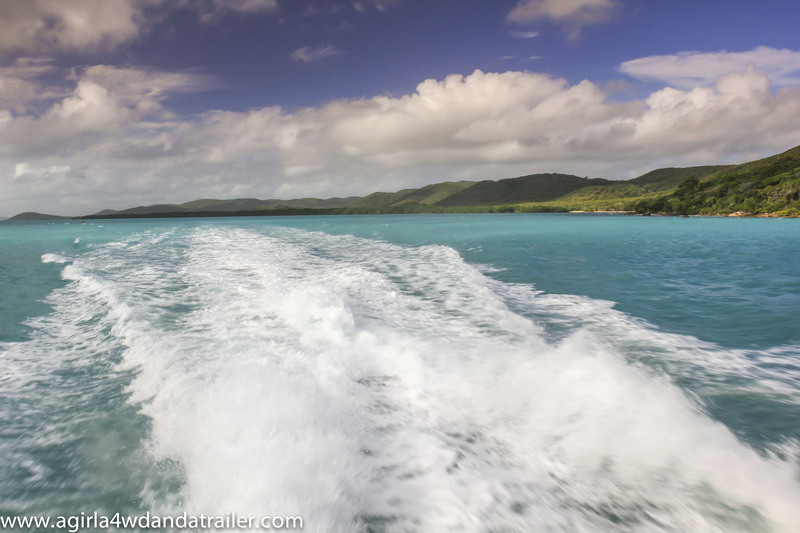 Thankfully our journey back into civilisation (Cooktown *cough*) we relatively uneventful. The next plan was to head back down to Cairns to collect our roof rack that had snapped off the car in the roll over two week prior. However, as we have skipped Cape Trib on the way up, due to the unseasonal weather, we made the decision to stop there a couple of days on route to Cairns. Besides the scary, bumpy, windy road into Cape Trib full of speeding cars, we had a lovely 2 full days. The same owners that owned Punsand Bay at The Tip own Cape Tribulation Camping, which is where we stayed. 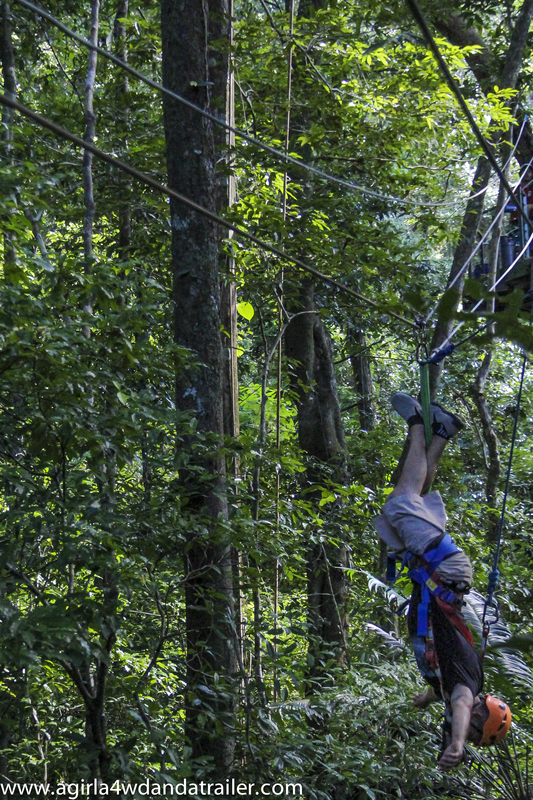 We also went Jungle Surfing through the Rainforest. 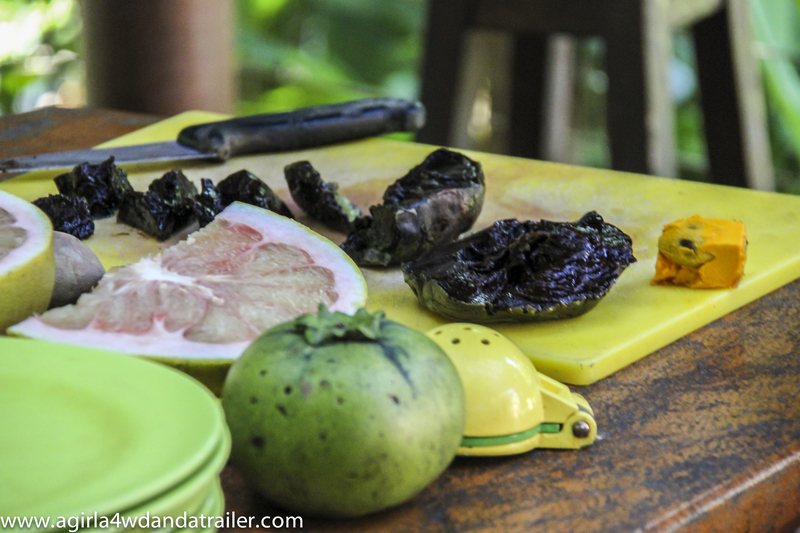 Check out the weird fruits below! But seriously, this was awesome! And for around $25/pp including transport to and from the farm, great value for money! I wish we had more time to spend at Cape Trib. The activities we could do were nearly endless. Next time we will horse ride on the beach, explore all of the other beaches and natural springs and relax. Next stop Cairns to fix our car. This entry was posted in QLD, The Great Outdoors and tagged 4X4, Australia, australian travel, beach, Budget Travel, camping, Cape Trib, Cape Tribulation, Cape Tribulation Camping, Exotic Fruit Farm, Far North Queensland, FNQ, Jungle Surfing, outdoors, photography, rainforest, scenery, sunrise, travel, Yellow Sapote on September 11, 2014 by monicabugno. From here on our trip back was pretty uneventful. Weipa is a mining town and really not much else. It’s meant to be fantastic for fishing, however, the prices are also fantastic. So we set up at the Weipa Caravan Park on a non powered site at the waters edge for a couple of days of R&R. Too bad you can’t swim for fear of crocs! Weipa sunset was brilliant. The colours on this haven’t been altered by any enhancing software, this is the actual sky. Day 11. Rest day at Weipa Rest day at Weipa, lazed around and went to the pub. We left Weipa and to the Peninsula Developmental Road and turned off at the iron ranges. We were meant to stay at Chili beach however the campsite wasn’t good for our swag and there was nothing else available. This is a very popular spot, although I can’t see why. We drove down to Portland Roads Out of The Blue Cafe, had some lovely locally caught seafood and then drove to Archer River Roadhouse. Dinner was the famous Archer River burger, It is a bit of a legend with the tourists. The burger was $12 and HUGE! YUM! We’re asked to give some of the local aboriginals a jump start in Archer River and saw more broken down on the road before Coen. At the quarantine station (where we noticed we had a flat tyre) we were asked if we could tow some of the local Aboriginals into Coen as they had run out of fuel. Apparently a local family group was trying to get back up the Cape and drove their cars until they had no more fuel (?!?). We were unable to help as our car is starting to show signs that something may be wrong and we don’t want to risk more damage. We saw the place where we rolled our car. The road has dried out so much that you would never know that 2 weeks ago that it was more a treacherous slush pool then a road. Along the sides of the road are reminders if you care to look. Deep tyre treads mark the churned edges where the graders haven’t yet been through. We stayed the night in the back of the pub in Laura. 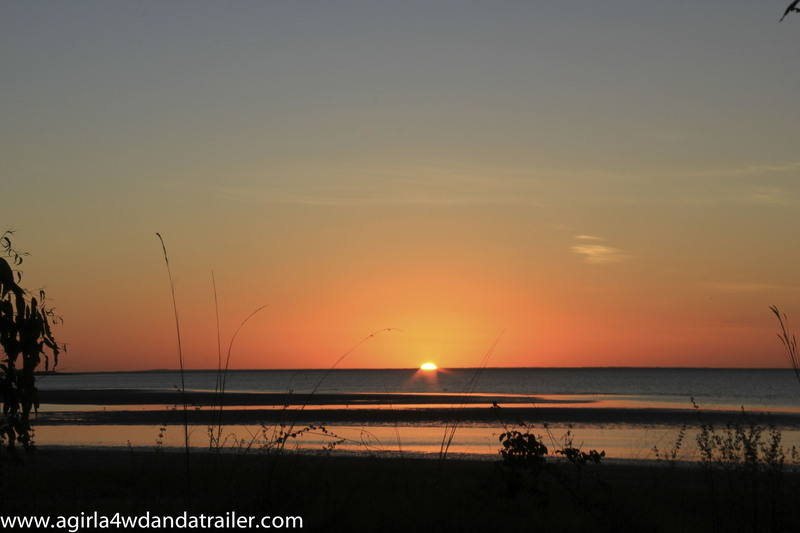 We drove back to Cooktown and back to our trailer, our Cape York trip came to an end. 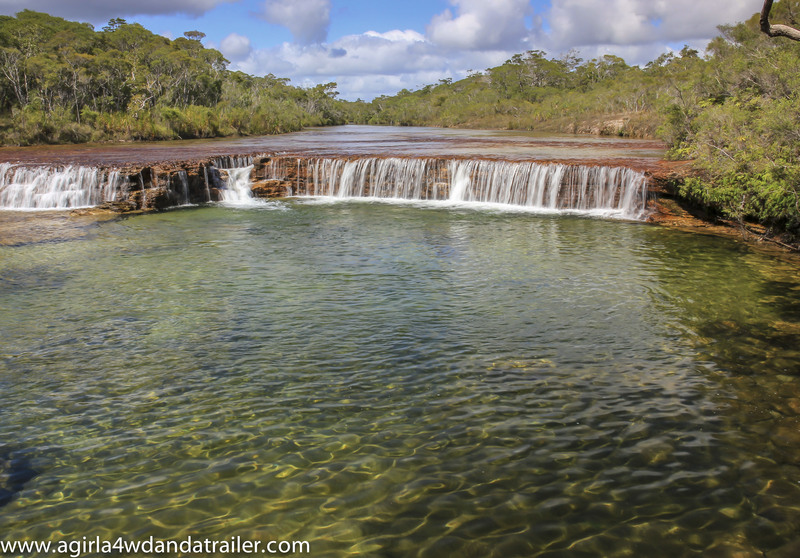 This entry was posted in Misc Ponderings, NT, QLD and tagged Archer River Roadhouse, Australia, Cape York, Chili Beach, Cooktown, Hann River Roadhouse, Iron Range National Park, Laura, Queensland, The Tip, waterfalls, Weipa on July 17, 2014 by monicabugno. And time to leave the Tip of Australia. Back through all of the little towns to the Jardine River ferry, back across and we drove down to the falls. We skipped these on the way up because we were bent on getting to the Tip. First stop was Fruit Bat Falls, the other 3 waterfalls are within walking distance of each other. Even though we are in winter, it’s really hot and dusty, so a dip in a waterfall was exactly what we needed. I also had been advised that all of these waterfalls are croc free. We drove down to Eliot Falls, Twin Falls and Saucepan Falls. This is where the campgrounds are and where were to stay the night. The waterfalls are very popular for people camping and day tripping so the falls were really busy. We had a walk around and a bit of a dip, but decided to come back early in the morning, before all of the people got in, to take pics. We did however, bump into the 4WD Action crew, Hubby’s idols. We were very luck and were able to get some pics! 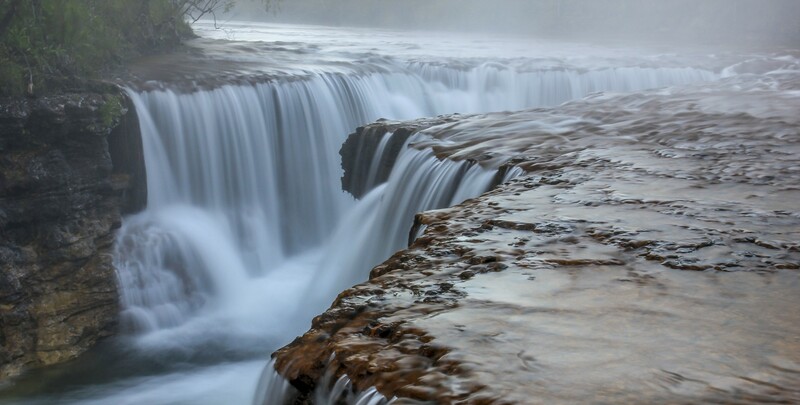 The next morning we got up early for some sunrise photos of the falls and were treated to an amazing view of empty waterfalls covered in mist. This entry was posted in Blog About The Great Lap, National Parks, QLD and tagged Australia, camping, Cape York, Eliot Falls, Fruit Bat Falls, Jardine River, Mist, Queensland, Saucepan Falls, sunrise, swimming holes, The Tip, Twin Falls, waterfalls on July 15, 2014 by monicabugno. Originally we weren’t going to do the tour over to Thursday Island as is was a bit expensive. However, when we got to the Tip we decided that we had come all of this way, we probably won’t do it again, we should just do it. So we did. We booked our ferry tickets through reception at Punsand Bay, who were wonderful, and caught the ferry the next day. Peddells Ferry is the only passenger ferry that goes over and they also run a tour. We decided to pass on the tour and instead take a tour with a local guy Dirk who was just starting his own business. Good choice! He tooks us around on a personalised tour around the island. He was very laid back, but full of information. The name of his company is Lax Charters & Tours and he can be contacted on lax_tours@hotmail.com. Thursday Island (TI) is the administrative and commercial centre of the Torres Strait Islands and the most northerly town in Australia, it has had a fascinating history. 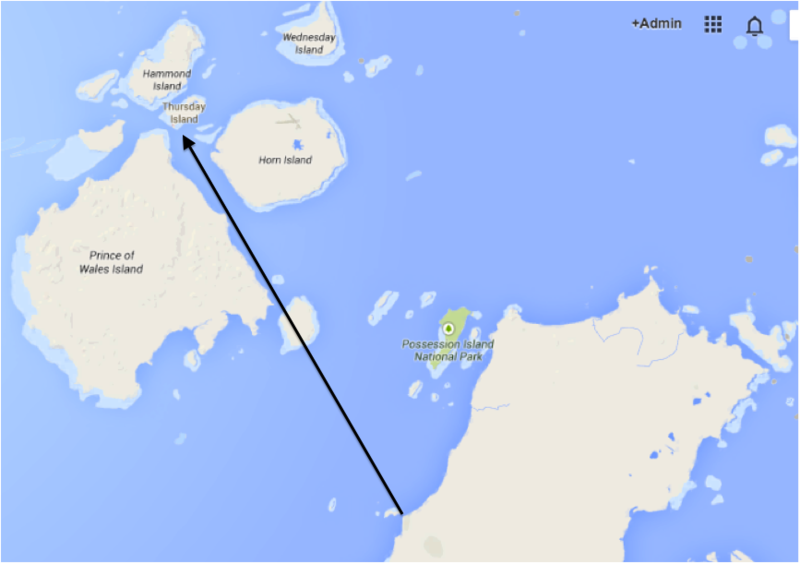 The Island has approx 3000 residents with about 9000 in total on all of the Islands in the area, and there are a few. Dirk, our guide lives on Prince of Wales Island next door to TI and commutes over to work by boat. 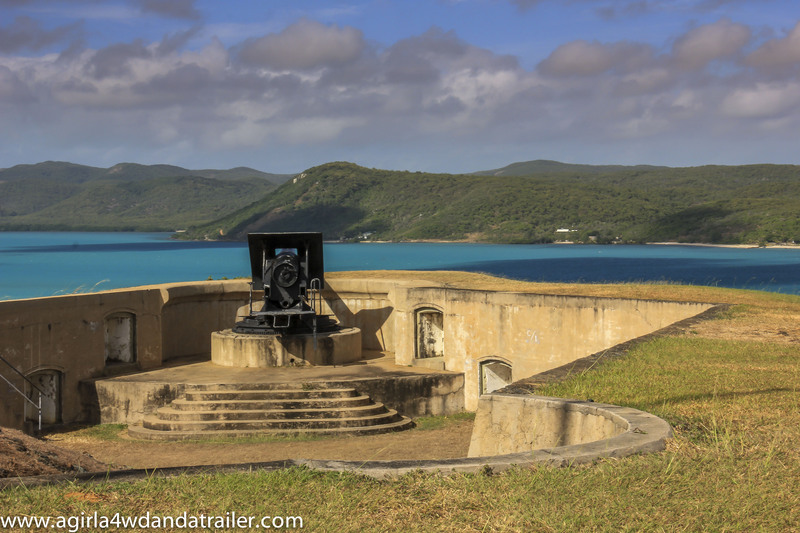 First stop on our tour was the Fort on Green Hill which was built in response to a Russian war scare. It is now a museum with amazing views. Rows and rows and rows of Japanese Pearlers are buried here. They say that at least 600 Japanese were killed while Pearling and not all were recovered. We drove around the “suburbs” of TI and then to the cemetery. The Pearling Industry began when pearl shells were first discovered in the Torres Strait in the 1890’s. This attracted workers from surrounding countries. Unfortunately pearling was a perilous job and hundreds of workers, particularly the Japanese, were killed. 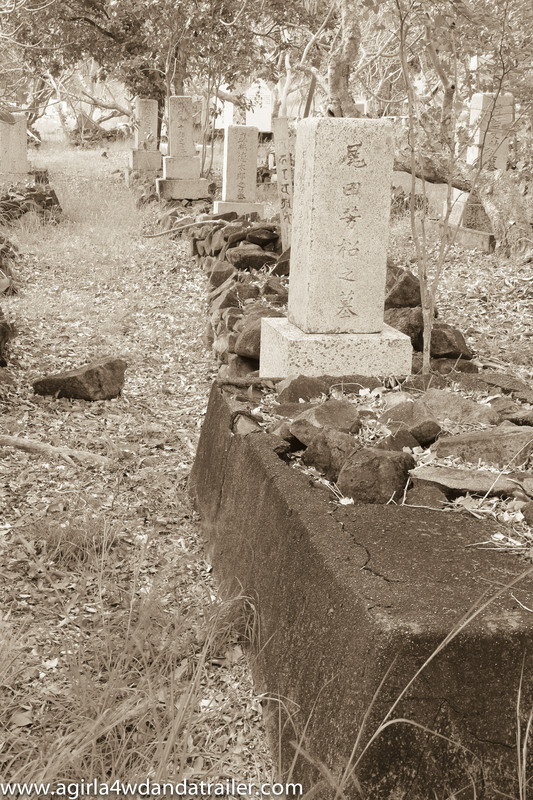 This makes TI’s cemetery rather unique as the occupants are a mixture of Muslims, Buddhists, Japanese, Pacific Islanders and Torres Strait Islanders. As well as being one of the northern most cemeteries in Australia. We weren’t able to visit the cultural centre as it wasn’t open because it was Saturday which was disappointing. Instead we stopped at The Torres Hotel which is famous because its the most northern pub in Australia, Fantastic! We had lunch and a few drinks before we headed back to catch our ferry back to the mainland. This entry was posted in Blog About The Great Lap, Cemeteries, Historic Sites, National Parks, QLD, The Great Outdoors and tagged Australia, cemetery, Green Hil Fort, Northern Most Pub in Australia, Punsand Bay, Queensland, Thursday Island, Top Pub, Torres Strait on July 14, 2014 by monicabugno.